I’ve worked as a digital artist for almost twenty years now and I’ve used and seen many computers and pen tablets through those years. But none of those devices had me ever excited… until yesterday. 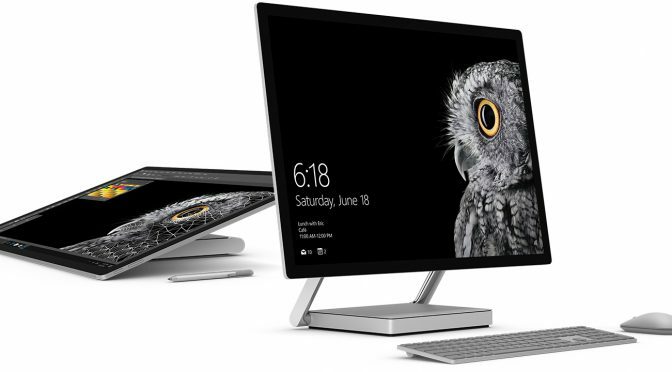 I have to say that I am very impressed with what Microsoft just unveiled, which is the Microsoft Surface Studio. This large (28″) tablet computer looks amazing. It has a crazy-good resolution (4500 x 3000 for 192 PPI) and responsiveness. This promises to be an amazing tool for doing 3D and 2D graphics, creating storyboards and retouching photos and videos by directly interacting with objects. You can be sure that I will review this Surface device as soon as I get my hands on it. For now, you can refer to the Microsoft’s website for more info.